Discover the momentous motor sports events that took place this weekend in history ……..
1938: Chris Staniland driving a Multi-Union set an all-time Brooklands (England) record for Class D (under 3,000 cc) of 141.45 mph. 1957: Jack Smith edged Lee Petty to win the 100-mile #NASCAR Grand National event at North Wilkesboro Speedway. 1963: Richard Petty worked his way up from fourth starting position to land a convincing victory in the South Boston 400 at South Boston (Virginia, US) Speedway, marking a rare win for Petty in a car without his iconic No. 43. Petty led the last 287 of 400 laps in his No. 41 Petty Enterprises Plymouth, besting runner-up David Pearson by three laps at the end. Joe Weatherly drove home third, another lap behind Pearson. Petty — who leads NASCAR’s all-time list with 200 wins — he had six wins in the No. 41, two in the No. 42 and the remainder in his trademark No. 43. 1963: The first Chaparral car appeared in its last race, an event in Laguna Seca, California in which driver Skip Hudson failed to finish. 1978: Racer Gunnar Nilsson died exactly one month short of the age of 30. Nilsson was a works-driver for March in the 1976 Formula 2 championship and came into #Formula 1 in mid-season as the result of a swap involving countryman Ronnie Peterson leaving Lotus and joining the March #F1 team. Nilsson filled the vacant seat at Lotus and scored 11 points that year with impressive third places in Spain and Austria. 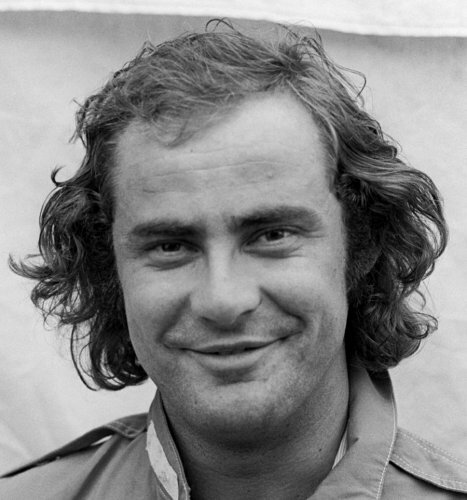 The following year, his first full season in F1, the young Swede overtook Niki Lauda at to score his first Grand Prix win. But what could have been a terrific season ended with shocking news: Gunnar was diagnosed with cancer. His deal with the new Arrows team for 1978 never came to fruition as his condition worsened quickly. One of the last things he did was to set up the Gunnar Nilsson Cancer Research fund. 1891: A one-mile dirt track opened for harness races at the site of the present-day Tennessee State Fairgrounds in Nashville, US. Harness #racing proved a popular event at the annual Tennessee state fair, but it was nothing compared to the excitement generated by the fair’s first #automobile race, held at the Fairgrounds in 1904. For the next fifty years, motor racing events were the highlight of the annual state fair, drawing top American drivers to compete, and launching the careers of others. In 1956, the track was paved and lighted, and the tradition of weekly Saturday night racing at the Fairgrounds was born. And in 1958, NASCAR came to Nashville with the introduction of the NASCAR Winston Cup to be run on a brand-new half-mile oval. The legendary driver Joe Weatherly won the first Winston Cup, beating the likes of Fireball Turner, Lee Petty, and Curtis Turner in the 200-lap event. Between 1958 and 1984, the Fairgrounds hosted forty-two NASCAR Winston Cups, and Richard Petty and Darrell Waltrip were the overall leaders in victories, with nine and eight Winston Cups respectively. The last Winston Cup race to descend onto the Tennessee State Fairgrounds was a 420-lap event won by driver Geoff Bodine. But despite the departure of the Winston Cup, the Nashville Speedway continued to improve on its racetrack, and illustrious racing events such as the Busch Series are held on the historic track every year. 1956: Jud Larson made his USAC debut, winning a 100-mile race in Sacramento, California, US driving the John Zink Special. 1960: Pedro and Ricardo Rodriguez drove a Ferrari 250 GTO to victory in the Paris 1000 Kms at Montlhery, France. 1973: Benny Parsons clinched the NASCAR Winston Cup Championship. 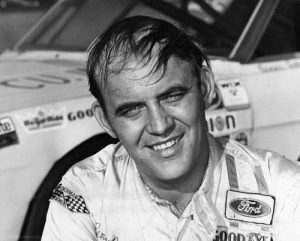 With his fourth place finish at Dover Downs International Speedway, Delaware, US underdog Benny Parsons found himself top of the point standings with a 211.75-point lead over Cecil Gordon, who finished the race in 27th. James Hylton and Cale Yarborough also struggled as they were contending for the championship, finishing 19th and 25th, respectively. Defending champion Richard Petty was also in the running for the title and came in seventh at Dover. 1973: Nasif Estefano (40) died while driving in a local race in Aimogasta, Argentina. His car suffered a mechanical failure on a fast curve, which caused the car to somersault a number of times. Estéfano was ejected from the car due to a fault with the safety belts, and was killed almost instantly due to head injuries. 1984: Bill Elliott emerged from a stirring duel with Harry Gant, converting a last-lap pass to win the Warner W. Hodgdon American 500 at North Carolina Motor Speedway by one foot at the checkered flag. For Elliott, who led 133 of 492 laps, it was the fourth of his 44 career victories in NASCAR’s top series. Terry Labonte finished third with Darrell Waltrip and Bobby Allison completing the top five. 1984: Second place in the final race of the season, the Portuguese Grand Prix, gave Niki Lauda the world motor-racing championship for the third time. The man who won the race, Lauda’s McLaren team-mate, Alain Prost, was pipped to the title by the narrowest of margins, just half a point. McLaren dominated the season, with Prost winning 7 races to equal the season wins record set by Jim Clark in 1963, and Lauda winning 5, making the McLaren MP4/2 the most dominant single season car in the sports #history to that point. The team also scored four 1–2 results during the season to easily win the Constructors’ Championship with a then-record 143.5 points, some 86 points in front of second-placed Ferrari. McLaren won 12 of the season’s 16 races, with Brabham’s reigning World Champion Nelson Piquet scoring two wins. Michele Alboreto (Ferrari) and Keke Rosberg (Williams-Honda) were the only other winners in the season with each winning a single race. For Japanese giant Honda, Rosberg’s win in the Dallas Grand Prix in the United States would be the first of 40 wins for their turbocharged V6 engines until the turbos were banned following the 1988 season. It was also Honda’s first win in Formula One since John Surtees had won the 1967 Italian Grand Prix at Monza driving the V12 powered Honda RA300 in its debut race. The Dallas Grand Prix was a one-off race, as the race was inexplicably run during the 100F heat of a Texas July summer; the weather and track temperatures were so high that the track broke up very badly. Aside from those problems, the circuit and the organization were well-received, and race was a classic- but only 7 #cars finished. This was similar to the previous race in Detroit, where only 6 cars finished. Renowned British motorsports journalist Denis Jenkinson referred to these 2 American races as “demolition derbies”. Zolder held its last Formula One Grand Prix when it hosted the third round Belgian Grand Prix. Fittingly at the track where Ferrari’s Gilles Villeneuve had been killed in 1982, Michele Alboreto took pole and won the race carrying Villeneuve’s #27 on his car. The Dijon-Prenois circuit also hosted its final Grand Prix when it hosted the French Grand Prix (Rd.5) won by Niki Lauda. 1990: Suzuka staged the Japanese Grand Prix. The race is best remembered for the first corner collision between World Championship rivals Brazilian driver Ayrton Senna (McLaren) and French driver Alain Prost (Ferrari), the second consecutive year the two had collided at this race with heavy championship repercussions. It immediately put both cars out of the race and secured for Senna his second World Championship. With Ferrari scoring no points after Nigel Mansell’s retirement, the McLaren team secured their sixth and third consecutive constructor’s championship. 2000: The San Remo rally was marred by a fatal accident in which an Italian policeman was killed after a collision with the physical coach of Finnish world rally champion Tommi Makinen. Pertti Siekkinen and Makinen were having an early morning jog through the streets of San Remo prior to Saturday’s second day of racing when Siekkinen and motor cycle policeman Guiseppe Micale collided. The 33-year-old policeman was killed instantly when he hit his head on the ground, while Siekkinen, 53, suffered a broken jaw and pelvis, according to his Japanese Mitsubishi team. 2006: NASCAR announced that NASCAR NEXTEL Cup cars would switch from leaded to unleaded fuel for all 2007 races except the Daytona 500.